Coordinated initiatives have been taken to make journeys of Eid holidaymakers hassle-free and ensure their overall security, said Inspector General of Police (IGP) Dr Mohammad Javed Patwary. The IGP made the remarks while talking to reporters after inspecting overall vehicular movement and transport situation on Dhaka-Mymensingh highway in Chandona Chowrasta at noon. Javed Patwary said district police, highway police and reserve police have been engaged to ensure easy exit from Dhaka, he said. Control rooms have been set up at different places. 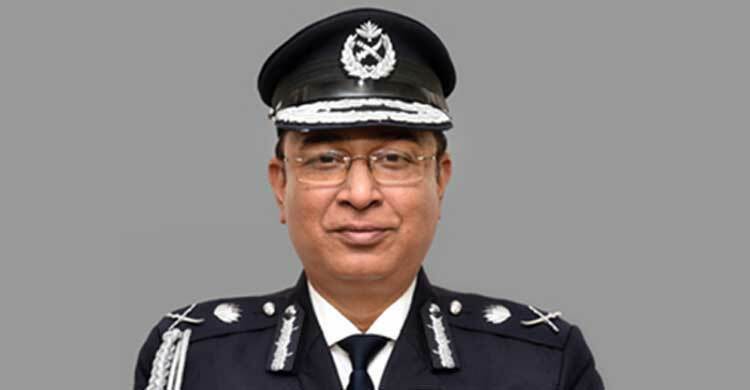 Besides, watchtowers and check-posts have also been set up, said the IGP. “We’ve taken all the initiatives so that homebound people can reach their destinations without any fear,” he said. The IGP also said passengers should be aware about ‘malam party’ and muggers on the highways.